Do you optimize for all major search engines? If you’ve read the pages of my website, heard one of my presentations or saw a video that I’ve released about SEO, you may notice that I clearly focus entirely on Google. 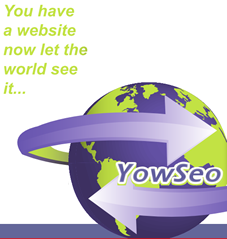 Many are curious if their pages will be optimized for Bing or Yahoo as well. The answer is “not exactly”. Allow me to take a moment to explain. My optimization is geared to provide top rankings in Google, not Bing. Here is why. 1) The lesser search engines tend to follow Google’s lead in how they structure their algorithms, at least on the key points. The minor details in those algorithms are quite clearly different, evident by the fact that they vary greatly but, for all practical purposes, optimize for Google and you will be optimized for the others and 2) Based on my experience, the potential traffic from search is overwhelmingly the result of a Google search without fail.